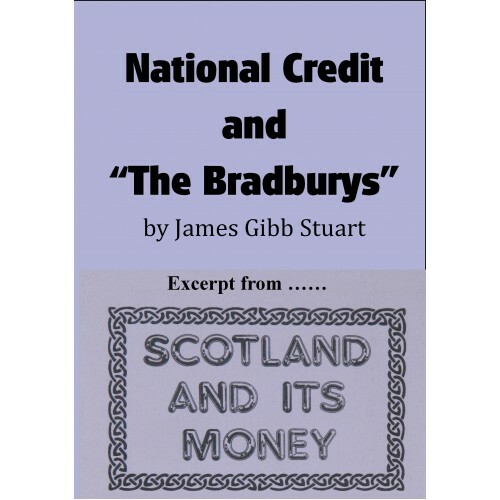 This is an excerpt from “Scotland and its Money” by James Gibb Stuart, a booklet written to promote “Scottish Independence through Money Reform”, but with a very international message. 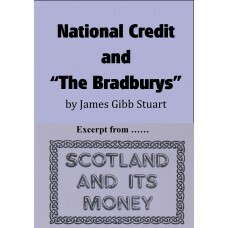 Read on to discover how the Bradbury notes (so called because they bore the signature of the then Secretary to the Treasury) temporarily broke the bankers’ monopoly of our money creation, by being printed debt-free by the government of the time to finance the needs of the people. This could – and should – happen again! "On the 7th August 1914, in order to avoid a run on the banks, the Treasury issued Treasury Notes signed by John Bradbury - a form of national credit backed by the credit of the nation. We require that the Treasury immediately restarts issuing such interest-free money, based upon the wealth, integrity and potential of our country. Such an initiative would completely remove the hold the banks have over the nation, and would kickstart a productive economy." Please add this product to your shopping trolley and continue through checkout. You will then receive it in your account as a download.